Starting a YouTube channel was one of my foremost blogging goals for 2016, and the day has finally arrived! 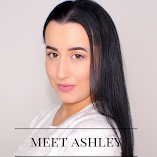 After starting a blog I realized that while I enjoy writing and photography, I also wanted to add another interactive element to my makeup tutorials. This makeup tutorial can be summed up in one word: SPRING! It is a soft pink and gold look that is perfect for the usual marathon of spring and early summer events; bar-be-ques, weddings, graduations, just to name a few. Hell, I would even rock this look on a casual day out in an air-conditioned mall while I browse stores and sip on an Iced Skinny Caramel Latte. This look combines a lot of my most coveted makeup items for spring all into one very easy tutorial. Sit back, sip some tea, and enjoy the video!